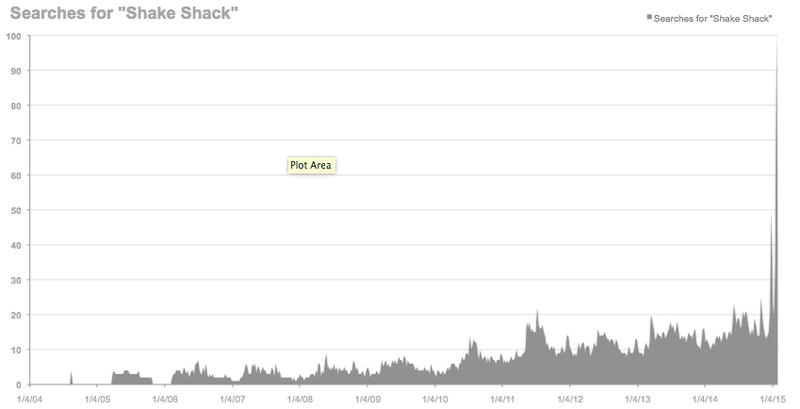 The chart above shows search interest in the term “Shake Shack” in the United States from the period 2004 – Present. The extreme points in early 2015 distort the chart, making it a little difficult to show the exponential growth in search interest. Excluding the extreme points, you would see clearly that in mid 2010, search growth began to increase much more than what was observed in the prior two years. The search trend has been and continues to be in a clear uptrend since the tracking of search interest. This bodes well as it exemplifies that the public eye is still fixated on the brand and continually growing. Comparison of search interest in “Shake Shack”, “Denny’s” and “Sonic’s”. Search interest in Shake Shack is represented by the blue line and shows that search interest has started to become more popular than searches in Sonic’s but still has some work to do to get ahead of search interest in Denny’s. 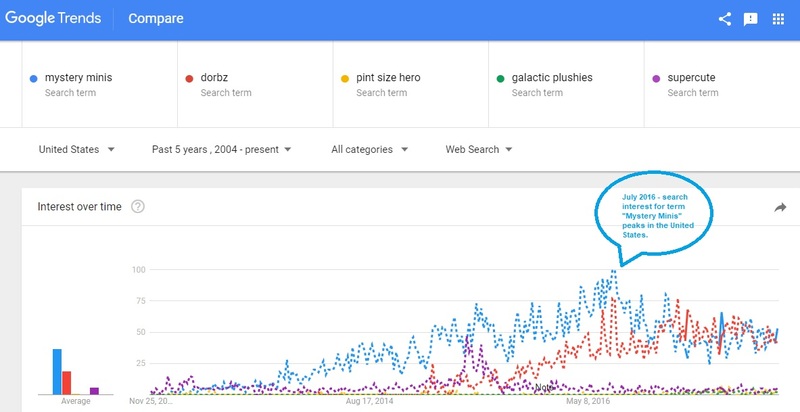 With the trajectory that it has been on since 2004 and the most recent boost in interest, mostly propagated by IPO news, it should be on track to become more prominent in searches and perhaps surpass the interest in Denny’s.